As engineers, we give a lot of importance to product design, architecture, code quality, and UX. However, when it comes to the user manual, we often only manage to pay lip service. This is not good. A usable manual is as important as usable software because it is the first line of help for the user and the first line of customer service for the organization. Any organization that prides itself on great customer service must have an awesome user manual for the product. In the spirit of listicles - here are at least five reasons why you should have an awesome user manual! In my fourteen years as a software developer, I have often been in situations where something just wouldn't work in a software I was using. When this happens, I usually try a few quick hacks and if they didn't work either, I reach for the user manual. I consider the user manual to be the first line of support and I open it with part hope and part trepidation. There have been times -- God bless the team who wrote it -- when the manual pointed me to the solution immediately. The feeling I have at such times is unmistakable. There is a sense of relief; a sense of joy; and a sense of gratitude. It is very satisfying. I say a silent thank you to the team for making my life easier. I feel glad I purchased that software instead of the alternatives. I'm sure most people feel that way and yet when it is our turn to write the manual, we somehow miss out on its importance. 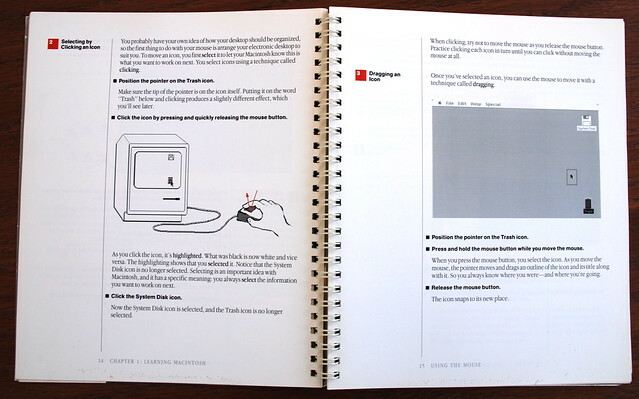 If you value user satisfaction - make sure your product has a great manual. I have also been on the other side of the table where I have had to talk with bewildered customers who were stuck with issues they couldn't fix. These calls typically took anywhere from fifteen minutes to an hour. Add to that the cost of context switching from my work and the overall cost of a sloppy User Guide is fairly heavy. Granted that developers don't have to get on customer support calls in most organizations (although they do in most startups) it's still someone's time spent that could have been saved with a better manual. Whether it's developer time or the time of the support staff - lost time translates directly to cost. Not only that, it also results in a lost opportunity to give more timely support if the support team gets swamped. By now enough people have burned their fingers with buggy or unusable software. A good user manual is no longer seen as an added benefit. It's a must-have for many customers. I have always considered the user manual as an important factor when evaluating software for a purchase decision and I suspect many people will consider it to be an important factor before closing the deal. Another way user manuals impact sales is through the satisfaction of existing customers. Satisfied customers are some of your best evangelists. They will talk about the product with other people which can generate sales with little or no effort from the sales team. Scott Cooley considers documentation to be a maturity indicator. How true! It takes a mature company to understand the importance of great documentation and also allocate resources to actually create it. It's also an indicator of how much your company values the customer's time. All organizations declare satisfaction as their #1 priority. Here's a simple way to actually demonstrate it. Finally, a beautifully written user manual adds that extra X-factor to the image of the product. Producing great user documentation is an effective way to enhance the brand value of your company. This one's probably more important for hardware products or software products that handle machinery or critical health-related equipment. If you do have a critical product it is your duty to write a manual that clearly outlines appropriate usage and safety instructions. But even if you aren't shipping critical software, it's still a good idea to describe the correct way to use your product. - you will agree that it's a no-brainer to put in additional time and resources for creating awesome User Guides.